An international charity has urged better protection for Christian refugees in Germany after church officials said many face abuse in Muslim-dominated camps and reception centers. "We've heard much about the nasty treatment of Christians, and we're compiling a report to push politicians into action," said Rachel Marsuk, a spokesman for the Netherlands-based Open Doors International, which says it serves persecuted Christians worldwide. "We've had questionnaires returned detailing how Christian refugees have been psychologically abused, physically mistreated and denied food. The scale of this problem has been covered up or played down," she said. Germany took in 1.1 million refugees from the Middle East and Africa during 2015 and granted 476,000 asylum requests. German newspapers have reported rapes, beatings and robberies in the country's refugee centers, as well as abusive taunts against Christianity. In a March 10 interview with Catholic News Service, Marsuk said the worst abuses had been reported in Berlin and other cities. "It's essential churches help address this problem, especially since many Christian refugees are too scared to speak out," Marsuk told CNS. "Politicians at (the) local and national level here have done nothing to help and don't want to hear about these cases. They don't see how religious differences have fueled tensions and led to persecution." Stefan Forner, Berlin archdiocesan spokesman, said Archbishop Heiner Koch had discussed the plight of Christian refugees at a March 8 meeting with local officials. He said many camp administrators failed to grasp the importance of religious and cultural differences and had failed to act to prevent anti-Christian violence. "Some people don't even want to talk about Christians, fearing Muslims may have a problem with this," Forner told CNS March 9. "We need to help those dealing with refugees to understand the situation of Christians in Syria and other countries of origin and be aware of the potential hazards of putting all the refugees together. When something bad happens, it must have consequences and not be hushed up," he said. 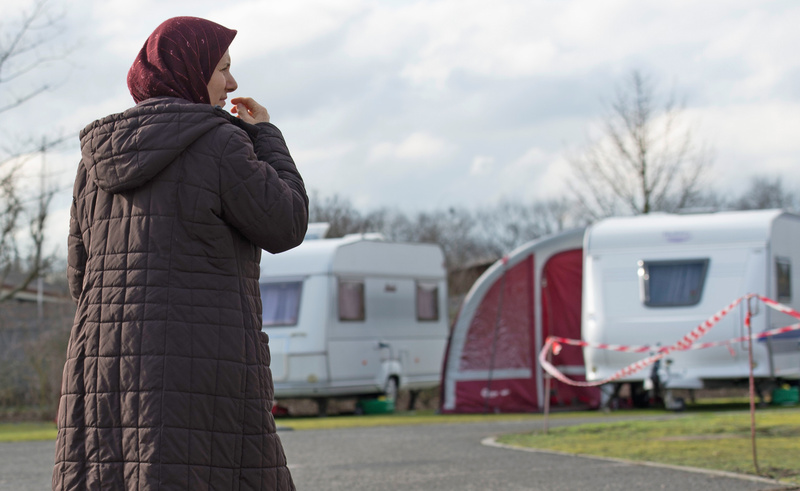 Several Christian communities in Germany have provided special facilities for Christian refugees, although politicians and church leaders have resisted calls for refugees to be separated on religious and ethnic lines. Patrick Nicholson, spokesman for the church's Vatican-based Caritas Internationalis, told CNS March 9 Christians made up only a small minority of refugees in Europe, adding that he had read about Christians being thrown off boats in the Mediterranean Sea but doubted widespread discrimination. The German-language Kathpress news agency reported a Catholic priest from Congo, Father Olivier Ndjimbi-Tshiende, who ministered in the Munich Archdiocese after gaining political asylum in Germany, had been forced to leave his parish in the face of "racial slurs and threatening letters," despite a support petition by more than 40,000 Catholics. Manny camp administrators failed to grasp the importance of religious and cultural differences and had failed to act to prevent anti-Christian violence.